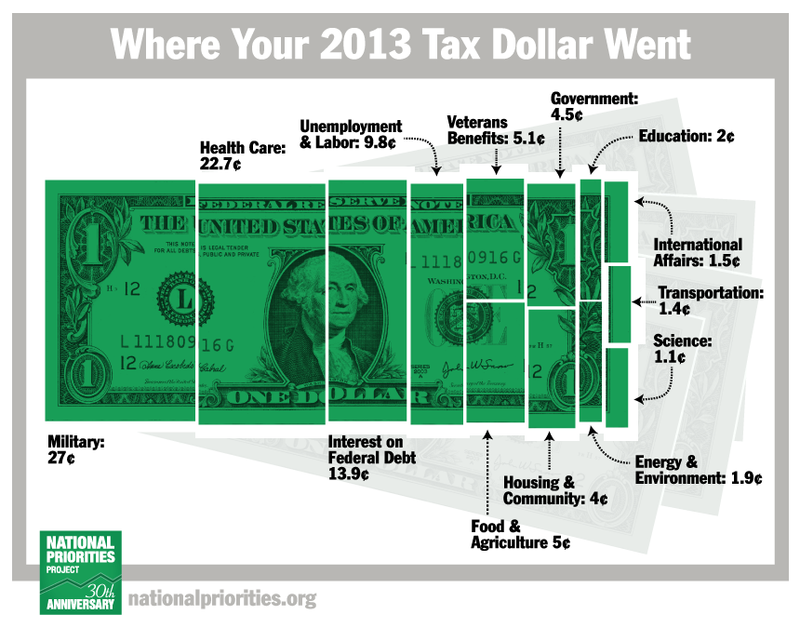 Where do our tax dollars go? Uncle Sam takes a cut of our earnings every April. But what does he spend our hard-earned money on? The answers will truly surprise you in this vérité odyssey. The Copyright Act of 1976, 17 U.S.C., 107, provides for the legal non-licensed fair use of materials without permission from the rights holders. Two-time Academy Award winner BARBARA KOPPLE directs and produces narrative films and documentaries. Her documentary “Running from Crazy” premiered at Sundance (2013), screened at Tribeca and other festivals, and was released theatrically. It will broadcast on the OWN cable network in 2014. Kopple is working on a documentary about soul singer Sharon Jones and The Dap-Kings, and is in post-production on a documentary about The Nation Magazine for their 150th anniversary. Kopple produced and directed “Harlan County USA” and “American Dream,” both Best Documentary Feature Academy Award winners. Other credits include “The House of Steinbrenner,” “Woodstock: Now and Then,” “Shut Up and Sing,” “A Conversation with Gregory Peck,” “My Generation,” “Wild Man Blues,” “Fallen Champ: The Untold Story of Mike Tyson,” for which she won a DGA Award for Outstanding Direction, and more. Kopple directed the narrative feature “Havoc,” starring Anne Hathaway and written by Stephen Gaghan. She directs episodic television and commercial spots with credits including episodes of “Oz” on HBO and “Homicide,” for which she won a DGA Award for Outstanding Direction. She has directed spots for Sprint, Applebee’s, Dove, Target, The Tiger Woods Foundation, Pearl Vision and the Children’s Defense Fund. She is a member of the Academy of Motion Picture Arts and Sciences, the Academy of Television Arts and Sciences, the Director’s Guild of America, New York Women in Film and Television’s Honorary Board, the British Academy of Film and Television Arts. There it was, a premise that folks could really get. So often we watch our elected officials spar over spending and cuts, but when we put them into context within the overall budget, it becomes clear they are arguing about pennies as opposed to dollars. When Mike Pesca loved the idea of having Adam on his popular podcast The Gist to discuss - and letting us come along to film - we were finally off and running. It was important to me that people understand that while the spending itself may be insignificant in the grand scheme, the impact is often very significant to countless Americans. Speaking with my friends in the Steamfitters union, UA Local 638, they pointed me toward a major renovation project they were wrapping up at Penn South, a unique moderate-income housing complex in New York City made possible decades ago by one of those drops in the bucket of federal spending. At Penn South we found a cross-section of American workers, young and retired, families and single, people of every race and culture. Penn's management and residents opened their doors to us, and with that came the rest of the film. If Adam was the brain of the piece, Penn South became the heart. It didn't come as much of a surprise that many do not understand how our tax dollars are spent. What did surprise me was discovering how little I truly understood it. Several interviews into the project, having spoken with leading economic thinkers, I still couldn't put my finger on the story. I really loved doing this film, both because of the wonderful people I got to know through making it and how interesting it all turned out to be. Economics, who knew? Many wonderful filmmakers have contributed their own shorts to the WE THE ECONOMY project, and I look forward to seeing all the others. Great project!" What percentage of our tax dollars was spent on defense in 2013? Defense and international security assistance: In 2013, 19% of the budget, or $643 billion, paid for defense and security-related international activities. The bulk of the spending in this category reflects the underlying costs of the Department of Defense. The total also includes the cost of supporting operations in Afghanistan and other related activities, described as Overseas Contingency Operations in the budget, funding for which totaled $93 billion in 2013. From 1900 to 1916, federal spending (on railroads, defense, bridges, etc.) averaged what percentage of our total economic output? Prior to the 1930s, the federal government during peacetime generally balanced its budget or ran surpluses. From 1900 to 1916 (just before the country’s entry into World War I), federal receipts and expenditures both averaged 2.1% of economic output. Which federal program does the government currently spend the greatest percentage of our tax dollars on? 24% of the budget, or $814 billion, paid for Social Security, which provided monthly retirement benefits averaging $1,294 to 37.9 million retired workers in December 2013. Social Security also provided benefits to 2.9 million spouses and children of retired workers, 6.2 million surviving children and spouses of deceased workers, and 11 million disabled workers and their eligible dependents in December 2013. "There are 1000s of shovel-ready jobs (resulting from the $800Billion stimulus)". Truth from the President? Q: Has anyone EVER demanded a full line item accounting of how the 2009 trillion dollar "stimulus" was spent? A: No Then Q: Why not? #Gasoline plummeting today, $2.99 at #stl gas stations. Is it #Putin's new oil find, #Obama's sanctions/stimulus, or bearish divergence? Has Paul Krugman congratulated Dallas yet for their imminent economic stimulus from the Ebola outbreak? America’s first tax revolt came during George Washington’s presidency. Farmers protested a tax on distilled spirits. In fiscal year 2013, the Centers for Medicare and Medicaid Services spent $1,113,178,000,000, setting a record for the most money ever spent by a federal agency or department in a single year. Income tax became permanent with the ratification of the 16th amendment to the U.S. Constitution in 1913. Federal Budget Spending: Where Does the Money Go?